For this week, the NFL free agency has been very quiet lately. What areas of need do you see for the rest of the offseason? Who are the Colts Players Pulling for in the NCAA Tournament? Office pools around the United States will be collecting brackets over the next 24 hours with the NCAA Tournament (minus the First Four) kicking off on Thursday. There will be some differing opinions in the Colts locker room for sure with bragging rights on the line for alma maters. A total of 21 Colts have their former colleges in this year’s NCAA Tournament with Joe Reitz (Western Michigan) having a direct connection. Reitz played basketball at Western Michigan from 2004-2008 for current Broncos head coach Steve Hawkins. A former Indiana All-Star at Hamilton Southeastern High School, Reitz finished his four years at WMU as the school’s third all-time leading scorer and rebounder. The Indianapolis Colts today signed free agent kicker Carson Wiggs and waived guard Zach Allen. Wiggs, 6-1, 222 pounds, finished his collegiate career (2008-2011) as the most accurate kicker in Purdue history, connecting on 53-of-72 career field goals (73.6%). His 53 made field goals rank as the second-most in school history. As a senior in 2011, Wiggs earned All-Big Ten second-team honors after making 16-of-21 field goals and recording 23 touchbacks on 66 kickoffs. Wiggs was originally signed by the Seattle Seahawks as an undrafted free agent on April 28, 2012 but was waived prior to the start of the regular season. Allen was originally signed to the Colts practice squad on December 16, 2013 before being signed to a Reserve/Future contract on January 13, 2014. In four seasons at North Carolina State (2009-2012), Allen competed in 42 career games, making 31 starts on the offensive line. Yesterday, Jim Irsay took the first step toward regaining good health. He voluntarily checked into a highly-respected health care facility and is committed to undergoing the treatment and care necessary to help him meet his challenges head-on. Jim, the Irsay family, and the Colts organization are all deeply appreciative of the incredible outpouring of support and compassion from our fans and the Indiana community. 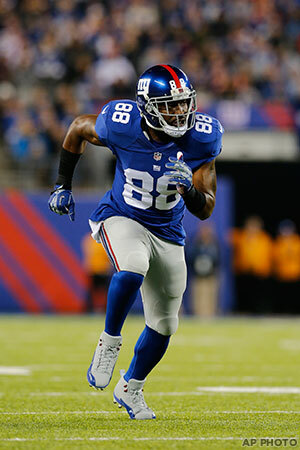 The Indianapolis Colts today signed unrestricted free agent wide receiver Hakeem Nicks. Nicks, 6-1, 208 pounds, caught 311 passes for 4,622 yards and 27 touchdowns in 70 regular season games (59 starts) over the last five seasons (2009-2013) with the New York Giants. He also totaled 28 receptions for 444 yards and four touchdowns in four postseason starts. Since 2009, Nicks ranks eighth in the NFC in receiving yards, ninth in receptions and tied for 15th in receiving touchdowns. Nicks’ 27 career touchdown receptions place him in a tie for 11th place in Giants history, while his career-high 11 touchdowns in 2010 are tied for the fourth-most in a single season in team history. He posted back-to-back 1,000-yard receiving seasons in 2010 and 2011, including a career-high 1,192 yards in 2011. In 2013, Nicks tallied 56 receptions for 896 yards in 15 starts. 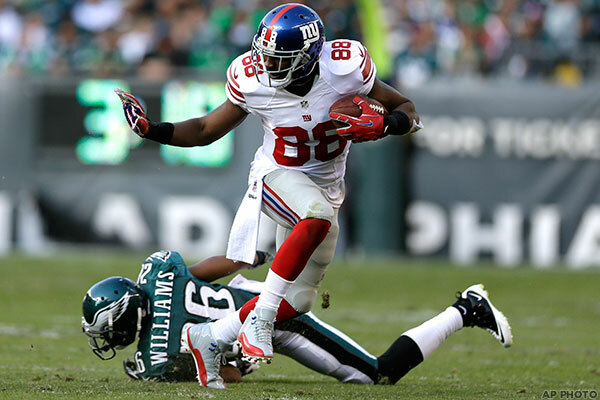 Nicks recorded 444 postseason receiving yards en route to the Giants 2011 Super Bowl XLVI victory, which ranks as the second-most in a single postseason in NFL history. His 28 receptions also rank tied for second, while his four touchdown receptions are tied for sixth. Nicks was originally selected by the Giants in the first round (29th overall) of the 2009 NFL Draft out of the North Carolina. He started all 36 games he played in at UNC and holds school records for the most career receptions (181) and touchdown receptions (21).